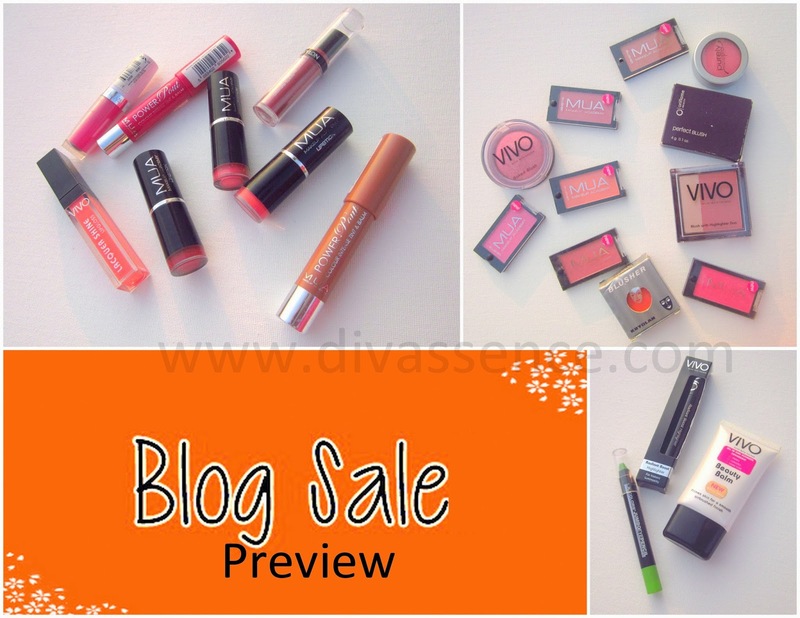 Blog Sale Preview! - Divassence! Thank you so much for your feedback regarding blog sales in general. There was a suggestion to post the preview a few days prior to the blog sale since SBI account holders need 7 days to add a new account. Valid point. So here is the preview! I will be posting the details of each of these products in the blog sale post. Please do not mail asking for the selling price. Do read this post for further clarifications. The Blog Sale will be held on Monday, 11th of November 2013 at 6pm. If you are interested in any of the products and know that it might take more than a day to add a new account, do mail me at divassence(@)gmail(dot)com. I will send you my account details. You may also like reading: Random Clicks: A walk in my terrace! ← The Nature’s Co. Beauty Wish Box: First Impressions! i want those blushes……………….Please send me the price details to FB…. Sorry ya!! i checked from office…didnt go thru ur entire post! my bad….Will wait for the blog sale post now 🙂 . i want blushes… 😀 pre booking allowed? or first come first ? Hei… i am already waiting for the sale to start… can you tell me when is it gonna start? ?